When you visit Ananda Assisi or other spiritual centers, it is natural to feel carried on the wings of peace and joy that you experience in that environment, with those people. It is rather less easy to feel that when you are home, in the midst of your daily duties, facing life’s inevitable challenges. Our heart-felt desire is to offer you as much support and spiritual fellowship (sangha) as we can through the internet, by skype and phone, and by sending teachers to your area as well as supporting the development of meditation groups and Ananda centers in your area. Avail yourself of these spiritual offerings whenever you feel so inspired. Inspiring events are broadcast live from the Temple of Light at Ananda Assisi, including the Sunday satsang every week, at 11.45, concerts, kirtans and devotional ceremonies, and major holiday events. Apart from that, guided meditations for beginners, disciples and Kriyabans are streamed to support you in your practice. Class series in various languages (Italian, English, German and Dutch) are broadcast regularly. Finally we have regular prayer sessions online for world peace and harmony. Abundant resources for learning to meditate and for deepening your practice. Take advantage of a guided meditation and also articles and blogs by long-time meditators. Your questions will be answered by experienced teachers and spiritual counsellors, and you can also benefit from answers given to others. Every week a group of dedicated Ananda members meet in the Temple of Light to pray for people who have requested prayers for themselves or others. Apart from that, every Tuesday and Friday night from 8.00 to 8.15 p.m. there are online prayer sessions for world peace and harmony, usually in Italian, but if requested, we can also do it in English. Each year more than a dozen Ananda teachers travel throughout Italy and Europe giving programs that include public conferences; classes in meditation, energization, Ananda Yoga, Kriya preparation and initiation; kirtans; retreats; presentations of the film Finding Happiness and discussions about community living. Ananda Europa has been guiding tours to India and other spiritual destinations for nearly 20 years. The itineraries are inspiring, and the accommodations and transportation are comfortable. Each group comes together by a mysterious divine will and is uniquely blessed. Ananda “Lightbearers” are authorized to officiate at spiritual ceremonies of marriage, the renewal of marriage vows, baptism, astral ascension (when a soul leaves his current incarnation), funeral and memorial services. Swami Kriyananda founded a new Renunciate Order for people who feel dedicated to following the inward path – where renunciation is seen not in in terms of what we must give up, but of what we choose to embrace: those attitudes and activities that lead us to bliss. 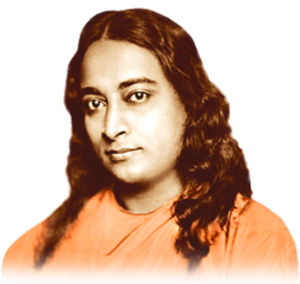 This Order is available to everyone who feels the inner call, be they single, married, divorced or widowed, parents or grandparents, disciples of Yogananda or not.